Consider making a gift to the Society to help us further our work in the African American Community. Whatever you can do, whatever you can give, is very much needed and appreciated. You are invited to join your petitions and your prayers with the prayers of all Josephites as we prepare for his feast day. Please submit your petitions and prayers. Please support The Josephites who have served faithfully for more than 125 years in African-American communities across our nation. 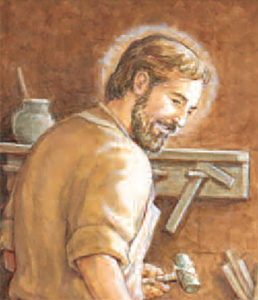 Download a copy of our Thirty Days Prayers to St. Joseph as a guide to your prayers.